Have you recently been experiencing problems with your car? Have you been asking yourself what that knocking noise in your engine is all about? 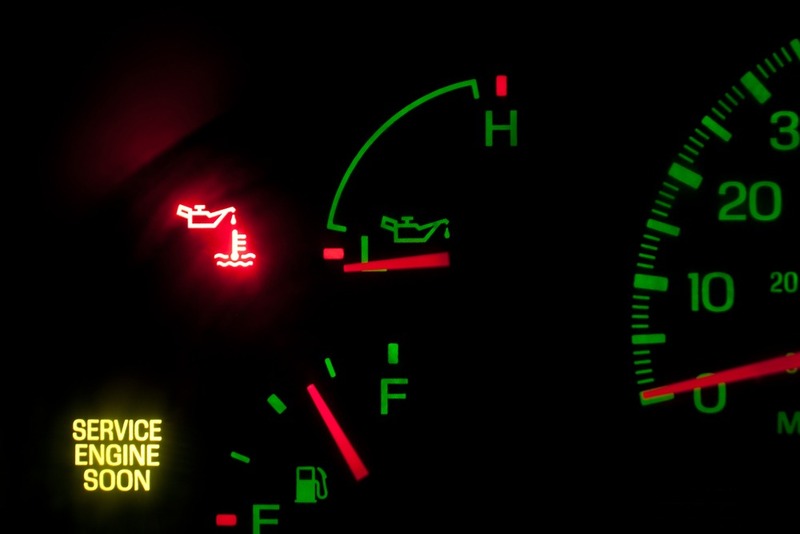 Is your oil pressure light flickering as well? If you answered yes to at least one of these questions, you need to see to it that you get to the bottom of things, because you are experiencing some possible major problems. Don’t wait for matters to get worst. Nip them in the bud as soon as you can. Let’s say that one of the first things you notice is that annoying knocking noise that is coming from your engine. It’s necessary that you understand what is causing the problem, because it can be a number of things, such as an oil flow problem that could eventually lead to damages to one of your valves, or the noise can also indicate that there is only one sticking lifter. You probably already know that all BMW engines go through a significant amount of loss of oil pressure as time goes by. This is all due to the fact that normal wear will increase bearing clearances. Lack of oil pressure is definitely something that you don’t want to go through, because as you probably already know, this can lead to a significant amount of repairs if the problem is not addressed immediately. One of the tricky issues you don’t want to encounter is that flickering oil light, because it can be more challenging to figure out where exactly it is stemming from, especially if your engine won’t go through any huge repairs. You would need to carefully check the oil pressure, particularly if you have one of those modern engines that utilize miniature oil filters, hydraulic lifters, and tight tolerant bearings. In order for you to determine if you have a huge repair problem on your hands, or simply a small issue that can be quickly addressed, take note of the following diagnostic tips borrowed from “Troubleshooting Low Oil Pressure”, Underhood Service, 10/97. Whether you already know it or not, the dipstick is one of the most ideal places for you to start, especially when you are trying to figure out the reasons behind the low pressure. First things first, you ought to check the oil level. See to it that it is not too low and not too high either. In the event that you find it to be low, it can cause you some problems such as an oil leakage, or your engine might be burning. A temporary fix is to add more oil; however, you might have a recurring issue on your hands if the level isn’t properly maintained. and/or a wet compression test. If you have determined that your problem is stemming from worn guides, the most inexpensive way for you to deal with this is by setting up new valve guide seals. If you can, make sure that you don’t pull the head. There are a number of proven ways that mechanics use to repair valve guides that are worn out. Having to do invest in new guides. It is also preferable that the heads are of aluminum and cast iron. Deciding to have wall bronze liners that are thin installed. Having over-sized stems on either re-chromed valves or new ones. The ream size should also be bigger in size. In case you forget, see to it that you take note of the current state of the oil. It should always retain the right level of viscosity for both the weather and your BMW. if driving in cold weather. If you want an improvement in cold weather starting and lubrication, opt for light viscosities such as straight 10W or 5W-20. However, do keep in mind that these may be too thin to keep an ideal level of pressure, especially when driving in hot weather. In the event of year – round driving, opt for 5W-30 in modern engines. This is highly recommended by most car and OE manufacturers. Once you are certain that the oil level is okay, check out the pressure sending unit. Before anything else, see to it that it is disconnected. Once you have disconnected the pressure sending unit, you should take a look at the gauge reading or warning lamp. You will know that the engine is free of problems if there is no change in the gauge reading after the pressure sending has been disconnected. Moreover, it could mean that there is a short to ground in the warning lamp circuit if it still stays on even after the disconnection. One of the most common cases you will encounter is the bad sending units. A quick fix that most mechanics go for is to replace the unit immediately. However, most of them don’t even bother to take a look at it, and this can result in riskier problems in the future, because you won’t know if the pressure is within specifications if they fail to measure the pressure directly with a gauge attached to your engine. Pressure is deemed to be dangerously low if it is below four or five pounds. The majority of warning lamps won’t switch on, unless it reaches that point. Just because it won’t light up does not immediately mean that you don’t have any problems with your engine, particularly if there is the presence of valve or bearing noise. Try replacing the filter, because this might be the solution to your problem. However, see to it that when you check the pressure, it will show you that there are low readings. Low readings can be an indication of presence of gunk in the filter. If this is the case, then you can replace it. The next thing for you to do is to drop the oil pan and look at the oil pump pickup screen. You will be sure that you have found where the problem is coming from, if the screen is blocked with debris. Moreover, the pickup tube should be attached correctly. If it is firmly attached, there won’t be any leaks, and obstructions won’t be of any issue. is the case, replacement is the only way for you to deal with this problem. However, if in the event that your pump is not damaged, you should measure the rod and bearing clearances. It helps to take a look at the clearances found on the main bearing. These are located closest to the pump, and have the most effects on pressure. Furthermore, you can determine the most amount of damaged when you check out the clearances on the outermost rod bearing. Replacement is the solution for worn bearings. But before you do this, you need to thoroughly look at and measure the crankshaft journals. This is necessary because this will allow you to determine any damages, out-of-round taper, and scoring. The crank will require replacement if the journals require any attention. There are more diagnostic checks available, such as pulling a valve cover or the intake manifold to look into the cam bearings and lifters, and/or camshaft end play. Keep in mind that low oil pressure could also mean that there are a lot of clearances or leaks near the engine’s oil supply system. The true final test is to start your engine and see to it that pressure is within BMW’s specifications, once you have diagnosed the problems. It is not enough that you just rely on the dash gauge and warning light as a means of verifying that everything is okay. Make it a point to utilize a mechanical pressure gauge. It is very easy to ignore your engine’s problems; however, doing so can lead to more serious issues, such as finding yourself in the middle of nowhere with a car that refuses to start up. Before you find yourself in this situation, address any and all problems that you feel that your car’s engine has.